Featuring the very latest industry standards in material design, the 2015 INTERNATIONAL BUILDING CODE® offers up-to-date, comprehensive insight into the regulations surrounding the design and installation of building systems. It provides valuable structural, fire-, and life- safety provisions that cover means of egress, interior finish requirements, roofs, seismic engineering, innovative construction technology, and occupancy classifications for all types of buildings except those which are detached one and two family homes and townhouses not more than 3 stories high. New code sections have been added to the 2015 IBC® that cover rooftop mounted photovoltaic solar panels and all the content in the book is developed in the context of the broad-based principles that facilitate the use of new materials and building designs. The updates to this code make it an essential reference guide for anyone seeking a strong working knowledge of building systems. 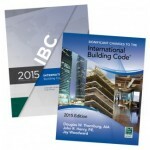 SIGNIFICANT CHANGES TO THE INTERNATIONAL BUILDING CODE® 2015 Edition provides a comprehensive analysis of significant changes since the 2012 IBC®, offering key insights into its contents and implications. Coverage includes changes made to both structural and non-structural provisions. Each change analysis features the affected code sections and identifies the change with strikethroughs and underlines to show modifications to the existing language. Each change is accompanied by a quick summary, detailed illustrations, and discussion of its significance, which brings the technical jargon of the code to life in a real-world setting. The attention to detail, logical organization, and thorough yet concise coverage found in this resource make it an ideal tool for transitioning from the 2012 IBC®. For the most current information on energy conservation code requirements, refer to the 2015 INTERNATIONAL ENERGY CONSERVATION CODE®. This highly beneficial resource fosters energy conservation through efficiency in envelope design, mechanical systems, lighting systems, and through the use of new materials and techniques. In the residential provisions, the inclusion of the Energy Rating Index Compliance Alternative as another compliance path adds more flexibility to the 2015 IECC®. With this comprehensive and cutting edge coverage, it is a critical component of a user's code books. For the most current information on energy conservation code requirements, refer to the 2015 INTERNATIONAL ENERGY CONSERVATION CODE® WITH ASHRAE STANDARD. This highly beneficial resource fosters commercial and residential energy conservation through efficiency in envelope design, mechanical systems, lighting systems, and through the use of new materials and techniques. Included in this version of the INTERNATIONAL ENERGY CONSERVATION CODE® are ASHRAE (American Society of Heating, Refrigerating and Air-conditioning Engineers) Standards. With this comprehensive and cutting-edge coverage, it is a critical component to any user's code products. The 2015 INTERNATIONAL EXISTING BUILDING CODE® contains requirements intended to encourage the use and reuse of existing buildings by covering important topics such as repairs, alterations, additions, and changes of occupancy, making this an ideal addition to a user's code products. Chapter changes in this updated code include requirements related to the addition of sleeping units and dwelling units as they relate to the requirements for Accessible units, and Type A units and Type B units have been moved to Chapter 11 on Additions. Get up-to-date on the critical regulations governing the safeguarding of life and property from all types of fire and explosion hazards with the 2015 INTERNATIONAL FIRE CODE®. This resource is the ultimate reference guide for addressing fire safety in both new and existing buildings. This updated code edited sections like Section 910 which was heavily revised to address overall smoke removal and mechanical smoke removal requirements have been revised and clarified. A new Section 915 replaces and greatly expands upon former Section 908.7 on Carbon Monoxide detection and alarm requirements. Significant Changes to the International Fire Code® 2015 Edition provides a comprehensive analysis of the significant changes in the new edition of the International Fire Code®, offering key insights into the implications of these changes. Each change analysis features the affected code sections and identifies the change as newly added text, a modification or clarification of the existing language or deleted text. Accompanying each change is a photograph, detailed illustration or comprehensive example to assist and enhance reader understanding. The book’s attention to detail, its logical organization, and its thorough yet concise coverage all make it an ideal tool for transitioning from the 2012 to the 2015 edition of the International Fire Code®. The 2015 INTERNATIONAL FUEL GAS CODE® sets forth requirements that address the design and installation of fuel gas systems and gas-fired appliances, based on the most current information and technology available. The requirements are performance-driven, making this an effective tool and valuable addition to a user's code products. In this updated code, the section on protection of piping has been completely rewritten, and readers are informed that line regulators installed in rigid piping must have a union installed to allow removal of the regulator. For the most current mechanical codes that address the design and installation of the most current mechanical systems, use the 2015 INTERNATIONAL MECHANICAL CODE®. This updated code includes information on condensate pumps, and the ventilation system for enclosed parking garages. With an emphasis on design and installation for optimum performance, the 2015 INTERNATIONAL PLUMBING CODE® sets forth established requirements for plumbing systems. The 2015 edition of the code includes information on public toilet facilities, as well as water temperature limiting devices, and replacement water heater installation. Using both prescriptive- and performance-related specifications, this code provides comprehensive minimum regulations for a variety of plumbing facilities, facilitating the design and acceptance of new and innovative products, materials, and systems. Fixtures such as water closets and urinals that utilize nonpotable water must be identified with words and a symbol that nonpotable water is being used. The color purple is established for identifying distribution piping conveying nonpotable water. The application of a primer to drain, waste and vent PVC pipe and fittings prior to solvent cementing is not required for 4-inch pipe size and smaller. This comprehensive code for homebuilding combines building, plumbing, mechanical, fuel gas, energy, and electrical provisions into a single resource. The 2015 INTERNATIONAL RESIDENTIAL CODE® FOR ONE- AND TWO- FAMILY DWELLINGS uses these provisions to provide detailed insight into the construction of one- and two-family dwellings and townhouses up to three stories high. 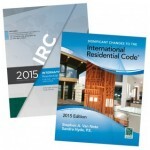 SIGNIFICANT CHANGES TO THE INTERNATIONAL RESIDENTIAL CODE® 2015 Edition provides a comprehensive analysis of significant changes since the 2012 IRC®, offering key insights into its contents and implications. Coverage includes changes made to building, energy, mechanical, fuel gas, plumbing, and electrical provisions. Each change analysis features the affected code sections and identifies the change with strikethroughs and underlines to show modifications to the existing language. The INTERNATIONAL SWIMMING POOL AND SPA CODE® (ISPSC®) is the first comprehensive swimming pool code that coordinates with the provisions of the International Codes to meet the requirements of the Virginia Graeme Baker Act for upgrading pool safety. Developed with the support of the Association of Pool and Spa Professionals (APSP), the codebook encompasses the design, installation and inspection of aquatic facilities, based on the current ANSI (APSP) standards, technology, and code provisions. Coverage includes public swimming pools, public spas, permanently installed residential spas, above-ground/on-ground residential swimming pools, residential in-ground swimming pools, portable spas, aquatic recreational facilities, barriers for all residential pools and spas, and water quality and suction entrapment avoidance for these facilities. Fall protection guards for springboards that are greater than 5 feet (1.5 meters) above a pool deck are now required. The guards will significantly reduce injuries from falls from high springboards.